His last coaching job in Italy -- before nine trophy-laden years abroad at clubs including Chelsea, Paris Saint-Germain, Real Madrid and Bayern Munich -- was at the helm of Milan. It will be a meeting of old friends against Milan's Gennaro Gattuso and Paolo Maldini, with whom he won the club's last Champions League in 2007. "It's great to meet up with good friends who traverse time with you," said Ancelotti on Twitter, after admitting homesickness had lured him back to Italy. "I first and foremost wanted to come back to Italy and to speak Italian again. 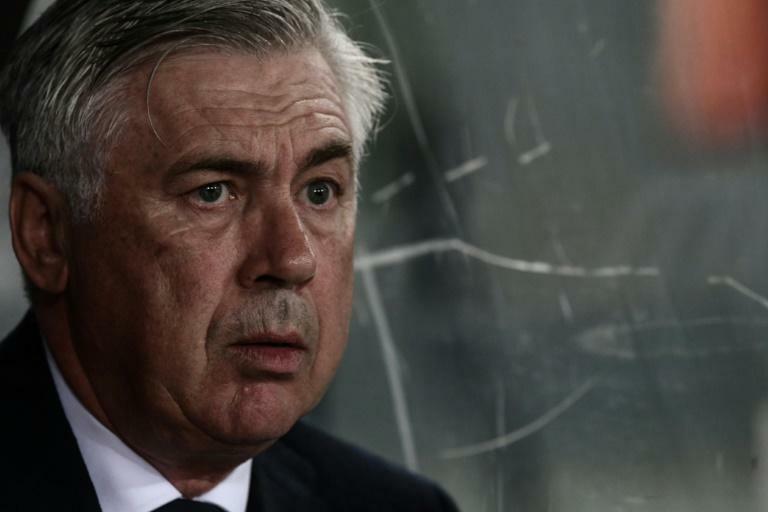 Secondly, I was convinced by the club's project," Ancelotti told streaming broadcaster DAZN. "I hope with my experience and help to take them on that final step." Serie A runners-up Napoli came closest to winning their first title since 1990 last season. The last time Ancelotti faced Milan as a rival on the bench was 17 years ago when he was coach of Juventus. That match ended with a 3-0 win for the Turin side with his record against Milan standing at four wins, three draw and two defeats. Since he departed the San Siro in 2009 Milan have won just one Serie A title in 2011 under now Juventus boss Massimiliano Allegri. But boosted by coach Gattuso, and club legends Leonardo and Maldini in management, the club are pushing, despite their financial struggles, to open a new chapter in their much-titled history. Ancelotti knows what to expect from Gattuso's side whose opening match against Genoa was postponed because of the bridge disaster in the port city. "Rino (Gattuso) is still the same in terms of character. You can tell from the way his team plays: focused, well-organised, solid, aggressive, just like Gattuso as a player," said Ancelotti who got an opening winning last weekend against Lazio. It will also be a homecoming for goalkeeper Pepe Reina who left Napoli this summer for Milan along with on-loan striker Gonzalo Higuain who played three seasons at the San Paolo -- scoring 91 goals in 146 games -- before moving to Juventus last year. 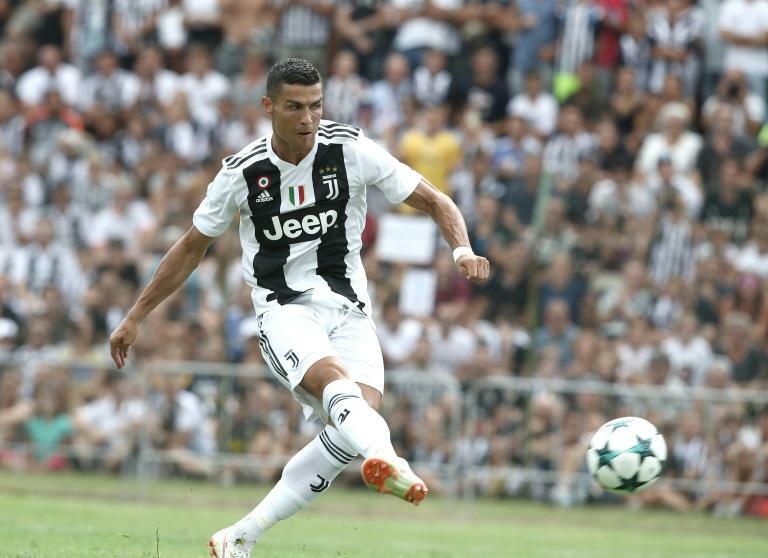 Ronaldo returns to the scene of what he has termed his "best goal" -- a superb overhead kick for Real Madrid which earned him a standing ovation from the Turin crowd in the Champions League last April. The five-time Ballon d'Or winner admitted that the crowd's reaction played a role in his move to Italy and five months later he is lining up in the black and white jersey of the Serie A champions. The 33-year-old made his competitive debut for Juventus in the Serie A opener against Chievo which his side won 3-2. In Turin, he will be bidding to score his first goal for the seven-time defending champions against Lazio -- fifth last season and looking for their first win after losing last weekend's opener against Napoli. "It was in my opinion the best goal of my career so far and of course when the people started to applaud me, I said 'wow'," said Ronaldo. "It surprised me a lot, as it had never happened to in my life. It was an unbelievable moment." Inter Milan look to get their season off the mark after last week's shock defeat to Sassuolo when they host Torino on Sunday, with AS Roma facing Atalanta on Monday. "We can't lose our heads just because we lost the first game," warned Inter's new Senegalese forward Keita Balde Diao.